As Canadians, Saturdays are typically a dedicated hockey day. Canada has the highest percentage of registered ice hockey players in relation to population in the world. No matter your age, gender, or ability, whether you watch or play, if you are a fan of the game, this day has been dedicated to you. Canadians love the sport so much that we have adapted it for every season, surface, and body. From ice hockey to ball hockey, to inline roller hockey, we keep the game alive year round. But there is another form of hockey that often goes unnoticed. For people with physical disabilities, sledge hockey was created to get everyone into the game. Developed by a group of wheelchair athletes in Sweden in 1961, sledge hockey has become one of the most popular Paralympic sports worldwide. 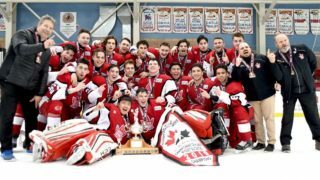 Seven years after their inception in the late 1970s, the Markham Islanders (GTHL) capitalized on a demand for the sport by forming the Markham Islanders Sledge Hockey team. Joining the Ontario Sledge Hockey Association (OSHA), with teams from Sudbury to Kingston, down to Windsor, the League promotes and provides opportunities for everybody to play. Lee Coulter, an avid sledge hockey player, was grateful for the opportunity to return to sport after sustaining a life-altering injury. 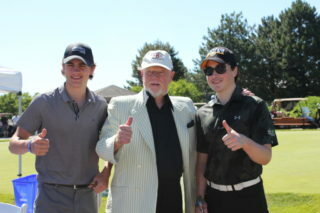 Coulter’s team plays at the intermediate level with players ranging in age from early teens to their 60’s. Men and women of every level and ability line up alongside players with physical, cognitive, auditory, and visual disabilities. “You learn a lot about team-building, yourself, and also gain a great deal of perspective. 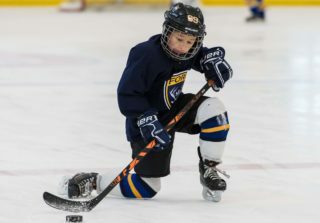 Besides being a great source of physical activity, it’s also competitive, challenging, and very inclusive,” said Coulter, who captains the team. Sledge hockey follows the same rules as traditional stand-up hockey with six players on the ice, including a goaltender. 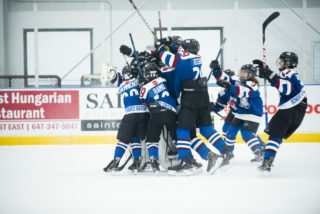 Players sit on a sled, which is a narrow platform with skate blades attached to the bottom, and propel themselves using two specially constructed hockey sticks that have picks on the end. Players wear full hockey gear and are strapped onto the sled, which can be adapted to meet the individual needs of each player. Keenan Sadler started playing sledge hockey three years ago at the age of seven. 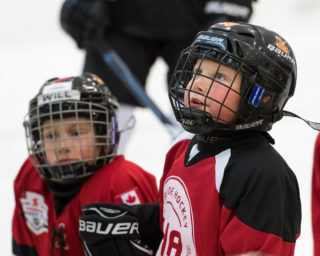 Keenan, now 10, loves hockey and sledge hockey gives him the opportunity to play. Keenan’s Mom Carolyn got him involved initially at a recreational level. As her son showed more interest, they wanted a program that was more structured. “It has been a very positive experience, but we would love more kids to get involved and hopefully like to expand to more competitive play,” Carolyn explained. 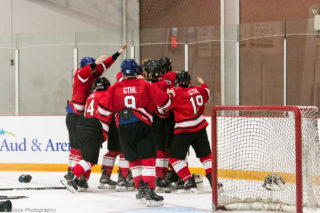 The Markham Islanders play in the OSHA Intermediate B Division, where they currently sit in sixth place in a pool of 11 teams. The OSHA represents 20 clubs with over 400 athletes across Ontario. It consists of three different leagues: development, Intermediate, and Senior. 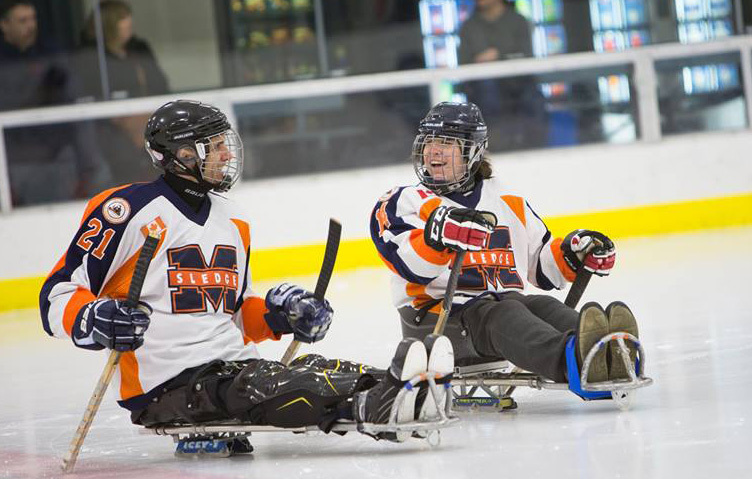 Click here to learn more about the Markham Islanders Sledge Hockey program.